Why are zombies consuming the popular imagination? This book–part social analysis, part theological critique, and part devotional–considers how the zombie can be a way to critically situate our culture, awash with consumer products. Matthew Tan considers how zombies are the endpoint of social theory’s exploration of consumer culture and its postsecular turn towards an earthly immortality, enacted on the flesh of consumers. The book also shows how zombies aid our appreciation of Christ’s saving work. Through the lens of theology and the prayer of the Stations of the Cross, Tan incorporates social theory’s insights on the zombie concerning postmodern culture’s yearning for things beyond the flesh and also reveals some of social theory’s blind spots. Turning to the Eucharist flesh of Christ, Tan challenges the zombie’s secularized narrative of salvation of the flesh, one where flesh is saved by being consumed and made to die. 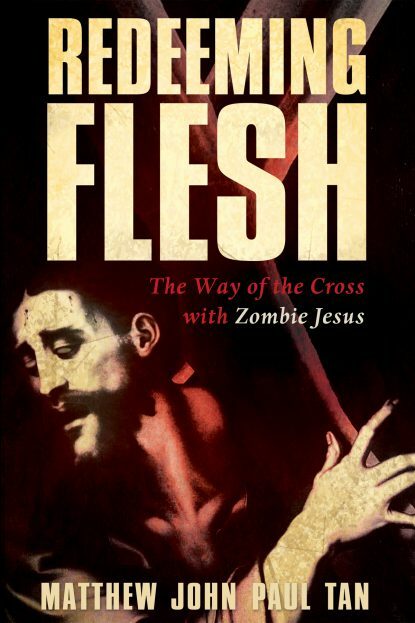 By contrast, Jesus saves by enacting an alternative logic of flesh, one that redeems the zombie’s obsession with flesh by eucharistically giving it away. In doing so, Jesus saves by assuming the condition of the zombie, redirecting our logic of consumption and fulfilling our yearning for immortality.